Blessed are those who keep his testimonies, who seek him with their whole heart. The second verse in this longest psalm reiterates the idea of blessing from verse one. 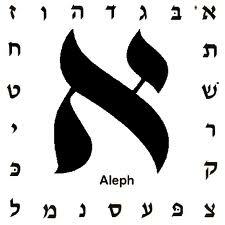 The Hebrew word for blessing, ‘ashre, begins with Aleph, fitting nicely at the beginning of the Aleph section of the psalm. So the motivation once again is clear, if you want to be blessed, keep God’s testimonies. But what’s a testimony? The word ‘edah is also translated as statutes (NIV) or decrees (NRS), both of which fit better than the ESV’s “testimonies” here as synonyms for law. Keeping a testimony sounds a little bizarre, but keeping a decree makes sense. This blessed person also seeks God with their whole heart, which sounds like the Shema (Deut. 6:4-5)–love God with your whole heart, soul and strength, which Jesus calls the greatest commandment (Mark 12:29-31). Why would a person seek God with their whole heart? They must find him incredibly attractive, incredibly compelling. People that see God like this will desire to obey his laws, and according to Psalm 119, will be blessed. How does one seek God with their whole heart?